The newest of Dodge Chrysler Jeep® RAM’s models can be found in our inventory at Palmer Dodge Chrysler Jeep Ram. We know folks in Kennesaw deserve the best, and we hope you’ll give us the opportunity to provide you with it. Where Can I Obtain an Auto Loan and Vehicle Financing Near Kennesaw, GA? 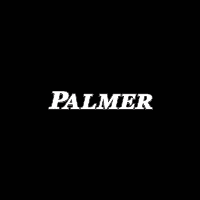 Palmer Dodge Chrysler Jeep Ram makes achieving your goal of an affordable car loan near Kennesaw a quick and stress-free experience! Our financial professionals can assist anyone in getting an auto lease or car loan in Georgia, even those with not so perfect credit! When we receive your application, we’ll look it over and one of our friendly staff will contact you as soon as possible. Where Can I Order Auto Parts and Get My Car Serviced and Repaired in The Kennesaw Area? Our skilled mechanics have spent years working on Dodge Chrysler Jeep® RAM vehicles and will accurately diagnose your car, truck, SUV or van’s trouble. If you’re having trouble finding certain parts or accessories, our friendly staff can help you. If you’d like to make an appointment with our service staff you can do so by creating a vehicle service appointment here on our site. For car shoppers in the Kennesaw area, we can assist you in finding the right new or used car to suit your needs right from our online site. We understand everyone has different needs of their day-to-day driving, and so we maintain a wide inventory of vehicles to help you find the perfect one. Are you searching Georgia for a used car? With our selection, you won’t need to shop anywhere else. With a huge variety of affordable, high-quality vehicles, we are certain that we can find a pre-owned car that suits your tastes.